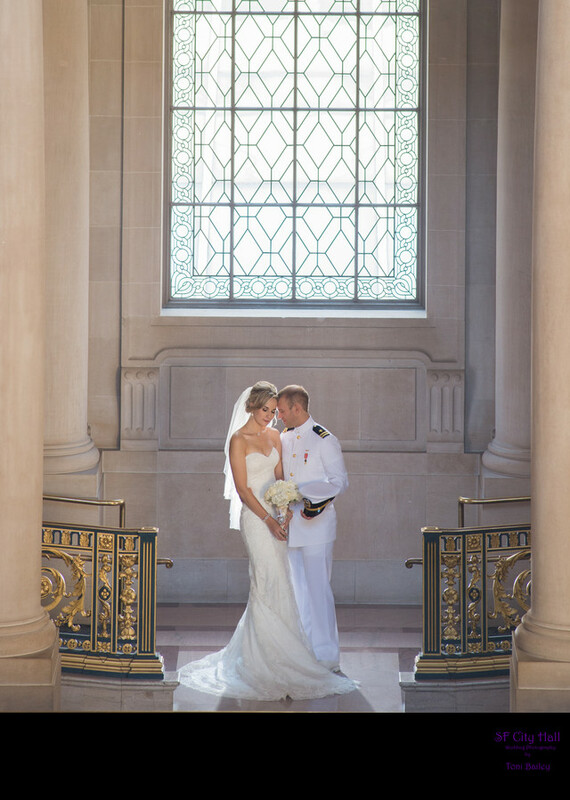 We enjoyed photographing this wedding at San Francisco city hall with a military Groom and bride. We placed them by the South windows and took this image from clear across the building. This type of wedding photography required professional lighting equipment and radio slaves.